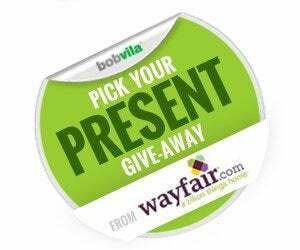 Enter Bob Vila’s “Pick Your Present” Give-Away from Wayfair! Enter to win the holiday prize of your choice, courtesy of Wayfair! No matter which one you pick, the prize is bound to help you host memorable holiday get-togethers. 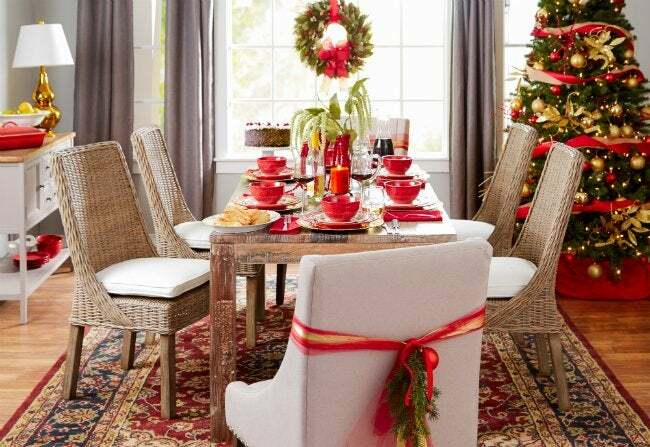 With a spacious dining set, you can serve a festive meal in comfort and style. The wine cabinet adds a feeling of luxury to parties, large and small. Guests are sure to be comfortable on the microfiber sofa. And for grand lighting that suits the celebratory mood, there’s an eight-bulb chandelier! Today and every day this month (from noon EST Sunday, November 30th, through 11:59 a.m. Wednesday, December 31st), enter to win one of four these special gifts from Wayfair! Wayfair started out modestly in 2002 before quickly expanding, both at home and internationally. Today, they are one of the largest online retailers of home goods in the world. Its sheer scale allows Wayfair to offer unmatched product variety, everything from furniture to home improvement supplies, at low prices. To learn more about Wayfair and their wide variety of home decor and home improvement products, click here. The “Bob Vila’s Pick Your Present Give-Away From Wayfair” is open only to permanent legal U.S. residents of the 50 states and the District of Columbia. Void in all other geographic locations. No purchase necessary. Void where prohibited. Contest Period for Prize runs from 12:00 p.m. (EST) EST Sunday, November 3oth, 2014 through 11:59 am Wednesday, December 31st, 2014. One entry per household per day on BobVila.com. Alternative means of entry for Drawing is available by faxing your name and address to 508-437-8486 during the applicable Entry Period. Odds of winning depend on the number of eligible entries received. By entering, all entrants agree to the Official Rules.